Recently, I presented a free SharePoint Webinar for Power Users and End Users alike on Understanding what is inside a SharePoint site. The goal was really for everyone to get a chance in understanding what is going on when they are given a SharePoint site and what is available to them. The session was recorded so that everyone can take advantage of it at a time of their choosing. I hope this will be useful to you. Thank you to everyone that attended and everyone taking the time to view this. I plan to do these on a regular basis, so make sure you stay in touch with me on twitter. Hello everybody. My name is Benjamin Niaulin. I hope you're doing okay this afternoon. We're going to start just about now, actually. So this session today, what I wanted to do after Mark Miller's article on NothingButSharePoint was to look at more of the basics of what's going on inside of SharePoint site. Now if you have any questions during this session, what I'll do is I'll take a Q & A at the end so I'll be able to answer all of your questions. If you can't hear me, make sure that you've connected the... Well that's not going to help you if you're already listening to me. So, if you have some friends online using the chat, make sure that you're connected to the audio. I'll try to help you as much as possible. I'm looking at the questions at the same time as we're doing the session. What we're going to do is we're going to look at what's inside the box, what's available. The first time that I did this session was actually at SharePoint Saturday in Ozarks, in Branson, Missouri. So we're going to be able to see what was said over there, some of the comments and feedback that we got there as well. So I hope this will be interesting for you, and don't be afraid to ask questions. We're going to be able to cover all of them at the end. We have an hour and a half to view everything, so we should be fine on that. So, here's a little bit about myself, though I don't want to talk about myself too long. You can check out on the blog site on Share-gate site for if you're interested in SharePoint migration tools, or contact me by email if ever you have questions. Obviously the best way to contact me will be through Twitter. You can instantly get a response from me. Otherwise, feel free to just look it up, send me an email, and if I have time, I'll make sure I'll be able to answer you. This is sponsored by Share-gate, so thank you for hosting this on join.me. It's a little SharePoint migration tool, so if ever you're looking to migrate, look into Share-gate, very, very interesting tool. SharePoint Basics: What is a Site Collection"
Alright so, what are we actually going to look at inside a SharePoint site. And what's very, very important for us is to actually look at what's going on all the way from the top. So we're going to start really looking at a high level what is inside a SharePoint site, and for that, we're going to have to start through what is a site collection? So the idea is to identify what are these things that people are talking about. So they're talking about site collection. What is a site collection? Just like the name would suggest, it's actually a bunch of sites, of SharePoint sites that are grouped together that we call a site collection, because they're connected by a top site. So the site all the way at the top is going to be called the "top site" or the "root site" in most cases. This is kind of like the site that controls all of the others below. What is shared by a site collection, and this is very important, we're going to cover some of the things, or reasons, if you want, of why we're going to choose a site over a site collection. But one of the things that is shared inside a site collection is the actual database. So every site in a site collection will share the same database. This is good for administrators when they manage their performance and so on. Every site will also share a Document Library called the Style Library. This is where we're going to store files that are for styling, files that we're going to need all sites to be available to look at or to read so that we'll be able to have it available in our subsites. And most importantly, they're going to share SharePoint groups. So an issue that we've had with a customer is that actually they thought, "We're going to connect with Customer A and Customer B." Now the idea is to create a site for each of these customers. You can also pretend that you're managing projects. Now, would you do a Project A site and a Project B site? It sounds like it would be a good idea. Now what happens is all of these sites share the same SharePoint groups. So when you're creating your SharePoint group, you're going to actually make it available to all other sites inside the same site collection. So this could be an issue if you're connecting with people outside your network. So in an extranet, for example, now I was with a customer and their scenario was they're going to do an extranet where people were going to be able to connect from outside and share some of the documents. What was very important is for Customer A not be able to see that we choose, or work with customer B as well. So they thought, we're going to do Site A for Customer A, and we're going to do Site B for Customer B. Now the problem is, they share the same SharePoint groups. So what happened is that eventually Customer B, when it was managing a SharePoint task or Document Library, and they were using people or groups, they would be able to actually see what was going on in the other site by seeing the other groups. So they wouldn't be able to access the other site, let me retract that, but they would be actually able to see the name of the groups that you were using. So, what are some of the limitations of working with site collection? Well, you would think that a site collection, so if we're looking at before a bunch of sites linked together, we'd be able to talk to other site collection. Well it's actually not the case. So what happens that there are no communication from one site collection to another, and this is very important when we're thinking about our architecture. If you have a human resources site collection and a marketing site collection, you're not going to be able to easily, without developing or asking your IT or coders, to be able to show what is going on inside another site. It's actually very difficult. So we're always trying to fit everything within the same site collection. Now, what are some of the reasons that we would create a new site collection? If, for example, you have somebody in your team or somebody in the business asking, "Well, should we create a new site to manager our HR or to manage this project?" Some of the things that you're going to look at is are we going to create a new subsite, or are we going to create a new site collection, the new bubble of sites. Don't worry if this is very technical. We're going to go a little bit inside a SharePoint site in just a bit. I just wanted you to understand what's going on from the outside first. So, one of the reasons is we're going to want to create new permission levels, or new SharePoint groups that we just talked about, where we really want to separate SharePoint groups from one another. Another is to really separate the database so that we have a different database to increase performance, or just have a new SharePoint Site Library or different quotas, or a different recycle bin for the site collection. So this is just an overview of why we would create a new site collection. Now this was just an overview and I got a quick demo here where we're going to look. I have this SharePoint site, I hope everybody can see it properly, and this is the start of a new site collection. If we click on the top site, which is my menu on the left, I can see that I have no subsites. A good trick, if you want to look at what's going on, one of the first things that I do is click on all site content here, on the bottom left of your Quick Launch. If you click on all site content, you're going to see what is inside your site, but you're also going to see any subsites. As you can see, I've created a little sub-meeting site over here to show you that I can see that below the site that I am looking at, which was Understand SharePoint, I have a subsite, and all of these together form a site collection that is managed by the top site, all the way at the root, in this case, Understand SharePoint. Now this was a really high overview of what was going on. What I want to look at now is what is going inside a SharePoint site, and for us to really understand the basics of what's going on inside list and libraries and columns and so on. So, what's a SharePoint site? And this is very, very important, because it's a lot simpler than we can actually think. If you want, if a site collection is made of a bunch of sites, what is a site? Well, I would like for you to think of a SharePoint site kind of like a box or a container. So we have this box, and what can we put inside this site or this box are lists, and/or libraries. So all we have to do today during this session is to really understand what are lists and libraries, and we would have understand what is a SharePoint site. Now I just want to apologize in advance, I may have a little accent. I'm from Montreal, so please forgive me if I don't say the appropriate words all the time. SharePoint Basics: What is a SharePoint Site? So, a SharePoint site is a box where we'll have lists and libraries. Then we'll have to go see what are the different sites and why are they different. Why do I have these different SharePoint site templates? Now, if you want to look at SharePoint and you want to create a new site, it's going to offer you different templates, if you want different things to play with. You'll see the very popular one, which is Team Site, Blank Site, and of course some meeting spaces, record centers that not many people actually have been using necessarily, I'm not sure what they are, when you're a Power User. To answer the question, "Are the slides going to be available?" Everything's going to be available at the end of the session. It is also being recorded, so you'll be able to view it afterwards. So going back to my SharePoint site templates here, we have different site templates. We have Enterprise Wiki, Enterprise Search, and again, our very popular Team Site and Blank Site. Is there a difference between each of these templates? Absolutely, and it does matter which template we actually choose. I'll go over in the next slide here - Actually, let me come back to it quickly. There's a little bit of things that I want to add. We said that a SharePoint site is kind of like a box that comes with lists and libraries. You may create new lists. You may create new libraries as well. A SharePoint site template is basically a box with lists and libraries already created as part of your template. So if I choose a Team Site, it'll be a box that already has a Document Library for me to put my documents, that already has a task list for me to manage my tasks. So it's just kind of lists and libraries already set up for me. However, some of the site templates will offer different possibilities, different features, if you want. A publishing site will be optimized for me to manage only webpages. Now of course, I can do anything in that site. I can manage documents, but the goal and why the site template was created by Microsoft was really to help you manage pages, for example, in intranet, or a published website, if you have, like Ferrari.com, which is a very, very popular example. So, why would I create a new site? And this is very important. When you create a new site, and this is something I'm going to come back to towards the end, is very, very difficult for a user or Power User to understand, "Well should I create a new site? Should I create a new site collection? Or should I just stick to a new list or a new document library?" A very common example is, if I'm managing projects, what is something that we would like if we're managing project with SharePoint? Well, something that I've already seen is we're going to create a new SharePoint site, or a new box, for each project. So every time I have a new project, Project A, Project B, I'm going to create a new site. This is one way of looking at it. Another way of looking at it is possibly to actually create new lists and libraries and just filter on a new column that we're going to see later, which is project, and have everything within the same site to ease the management. So, what are some of the deciding factors? Well, we want to create a new site when we want to delegate management to someone else, another team, another person in the team. So we're talking about different permissions. We're going to try to assign permissions as much as possible at the site level so we don't have to go through each list and library and create permissions every time. However, in this case, we really have to be careful because it does become harder. Every time you create a new site, it may become harder to get information from the other site, because SharePoint's lists and libraries are made to work within the same site as a Power User. So if I want to isolate available lists and libraries in the same box, or in the same site, then I might create a new site. Again, I was talking about creating a new project site. Why? Because I have certain lists and libraries that I want to have every time I start a project, so I'm going to create a new site for each project. Some site templates might have unique features like the blogs, the meetings, and then later, we'll talk about some available things that are called site features. These are available features that will be able to become enabled or disabled, but only at the site level. So remember that a site is a container and not an actual webpage, this is very crucial. A lot of people get confused. If I tell you to go to a SharePoint site, it's really to go to a box that has a bunch of lists and libraries inside. A page is nothing but another document that is stored inside a document library. So we're going to go take a look at this. A little bit of a demo, I wanted to make sure that we have a lot of demos in this session, make sure that we see what we're actually talking about. So if I want to create a new site, we know that we have the site actions menu. Whenever you want to create an action on the site, whether it's creating a new document library, or creating a new site, we're going to be looking at the site actions menu. In this case, I want to create a new site. If I create a new site, it's going to offer me different Templates as we were talking about. And if I want to create a new Team Site, or a new Blank Site, well, I can choose to create a new Blank Site, give it a name, in this case we'll call it Blank Demo, give it a URL, and click on create. This will create a new blank site for me. There are no lists, no libraries. How do we check this? Well, we're actually going to click on all site content, and we see that we have absolutely no lists or libraries created. It's really blank. If we go back on top to our site, we can see that some of the options are going to be to manage permissions, manage some of the navigations. So these are all part of the site settings. Then we're going to look at, and this is probably the most important part of this session, lists and libraries, really understand what is going on inside of this. So, what are lists and libraries? Have you guys used Excel or Access, or even Word? You've probably worked a lot with worksheets. So if I take a worksheet, for example, I'll do that right now. I'll open up Excel and what I'm actually going to do is I'm going to start creating columns because I want to start managing tasks. So what would I do in Excel? I would create a column called Task Name, I would create a column called Assign To, and I would call it Stat Date for when the actual task has to be started, and Due Date. So what happens here is that I'm actually managing, through Excel, a sort of a list. So every time I've created a new task, I'm going to put Task One over here, who it's assigned to, and start working in Excel. SharePoint lists and libraries is very similar to this, so if you look at the difference that I've put above, this is a worksheet where I've created columns, and then I've entered data. So I have a task called Tasks to Document, Take out the trash, who it's assigned to, and if you look in SharePoint, this is a SharePoint task list, it looks exactly the same, except it's web based. What are the advantages? Well again, it's web based, it's available through all our browsers. But on top of that, because the information is on SharePoint, we'll be able to use it in other things, in other lists, in other Libraries. We'll also be able to have versioning on it. So we'll be able to recuperate a single task and restore it back to a specific date. We'll be able to add content approval as well to make sure that when a new task is added, it will be approved before we're able to use it. So those are some of the benefits of using it in SharePoint instead of using it in Excel. Of course, we're still going to want to use Excel for many other things, but a lot of our worksheets that were used for data entry, well, we might just use them in SharePoint to benefit from all the other features that SharePoint offers to us. Now, what is a list made of? Well, a list and a document library is made up of columns. That's what we were talking about. If I create a new column on the right, and I ask for the region, then every time I add a new document in this document library not only will I have the client name, the modified date and who it was modified by, but I will also have the region in which each of these documents have been either created or managed. This doesn't really matter. It's just a column that we have created. We'll look over columns and details because it's very important, but it's just to give you a big example of what is a list, what is a document Library. The only difference between a list and a document library, if we go back, we see that the list is basically sort of a table with rows and columns for entering data, so for entering text if you want, or numbers of course, but just really writing information. And a document library, it's something that we didn't really have before is instead of entering information in my table, I'm actually entering the actual document. So pretend that you're actually putting a document inside your Excel worksheet and categorizing the document with columns so that you can filter it, sort it, and you can actually create workflows on top of it. So we'll see about that later, but I'm talking about for example, a content approval workflow, whereas I can say, "I want you to approve documents whenever the document client name is equal to Client C, then I want you to make sure that you make it approved by John or Stephanie. But if it's Client B, then I want you to go get it approved by this other person." So this is the very big difference where instead of putting out documents in a shared folder and looking for hours trying to find it, we're going to put it in a sort of a table called a document library and we're going to be able to find it through the classification, or the Columns, if you want, that we've entered and assigned to each document. So this is very useful. Now, this is very important. I'm probably going to say that quite often here, but there are a lot of things that are important. We've talked about the site, which is the box that contains lists and libraries. And then we talked about each site has a site template which offers lists and libraries by default for you, which were already created. The same thing applies to lists and libraries. Lists and libraries have different templates and each of them matter. It does matter which one you pick because they offer different functionalities. The most popular - Sorry about that. The most popular one is really the Document Library. It's the one you all know when you create a Team Site, you get a Document Library by default. Now, what is a Document Library? Well, like as we said, it's a place to store documents, you can have columns to store it, perfect. What functionalities does it offer? Well, just basic document management. Download a copy of the document, synchronize with Outlook, and not many super functionalities are available, just very basic. If we look at these other Document Library Templates or List Templates for example, the Asset Library, it's very different in the sense where it's going to be used to store assets. But what does that mean for SharePoint, and what does that mean for you? Does it mean you cannot store a document PDF inside an Asset Library? No, you can store anything anywhere. It's not the actual Document Library Template that defines what kind of document you can store inside of it. It's just the different features or functionalities that are offered through the Document Library. I'll give you an example, the Asset Library will allow a user to hover his mouse over each picture, or each video in the Document Library and a sort of a pop up is going to come in front of the screen and give more details on that picture and more details on that video and the ability to start or play the video right from there. So it's very different than a Document Library, because it's not meant to be used to manage PDFs. I'll skip the Data Connection Library because this is really advanced. It's usually to be able to store universal data connection files and just the way it sounds, it is very, very technical. So if you have questions about that one, please don't be shy. Send me a question afterwards, but for now I'll just skip it. We have the Form Library. This is not to create or to store your actual Excel forms, although you can, the Form Library is really if you're using InfoPath, which is an office tool to create forms in conjunction with SharePoint. It'll give you the ability to store the InfoPath forms there and make it available to the users so that they can fill out your form. And then we have the Picture Library, the Report Library, which are self-explanatory, and a very fun one which is called the Slide Library. Now not many people know about the Slide Library, but what the Slide Library is going to allow you to do is to store individual slides and make them available to everybody using either Office 2007, 2010, or now even Office 2013. What does that mean for you exactly? Let's pretend that I'm organizing a new event, a SharePoint Saturday, for example. And there are some slides that I want everybody to be able to use, the presentation slide, the housekeeping slide, and maybe a thank you slide at the end. Well, what I can do is I can store these individual slides inside a SharePoint Slide Library. Then, every speaker, or presenter, whenever they're building up their SharePoint PowerPoints, what they'll be able to do is they'll be able to add a new slide that comes from this Slide Library. And every time they're going to open their SharePoint or sorry, every time they're going to open their PowerPoint, PowerPoint is going to double check with the Slide Library to make sure that it has the latest version of the slide. This means that a Slide Master, a person that takes care of the slides, can go in one place, a centralized place, update the information on the slide, and make it available instantly on everybody using this linked slide. Now you have other list and library templates, I'm not going to go over each one. But you have to remember that there's a very big difference in the functionalities that are offered. Our last quick ones, if you use a SharePoint calendar, you get the benefit of synchronizing with Outlook calendars. If you used Contacts, you get the advantage of synchronizing with Outlook contacts, and this can be leveraged to do other things. In a local company over here, they run a business where they sell and they have a lot of retail shops. So one of the ideas was to be able to, in a SharePoint List, put all of their retail shops on a list, have the phone number, have the information for you to be able to call them. The disadvantage to that list, what they did is they created a custom list and they stored everything inside of it custom. Every time they wanted to lookup a new retail office or shop, they had to go and browse the Internet, go into SharePoint, find the custom list, and look up the information. Now, what we did instead is we told them to use the contact list. Now the first they told me is like, "Ben, that's not a contact list, it's our offices, it's our retail." I said, "But the benefit from the contact list is that you can actually synchronize it in Outlook. This means that your retail offices will appear as a separate contact list in everybody's Outlook, and they can actually change it in Outlook and it will update SharePoint as long as they're using SharePoint 2007 or higher." So this is very interesting to them. So, what do you need to know about lists and libraries? Well, try to apply permissions at the list or the library level. If you are going to change permissions, try not to do it on individual folders or individual files. First, there's a performance hit, if you start doing this inside your SharePoint Document Library, assigning permissions on every document, or every folder, you might see a small, or even big, decrease in performance in your SharePoint Library. So the idea is to really set your permissions as much as possible, I understand that we can't do it every time, but as much as possible, you want to assign that on your list or library level. Stay away from folders as much as possible, tag everything. Now I know we always have this conversation when we start inside a company and they're saying, "No, no, we have been using folders. It's how we organize everything." With SharePoint, there are disadvantages to using folders. For example, SharePoint Library will only show you what is inside a specific folder or at the root level. So if you're using a column to filter, it will only filter what it can see at the moment, not what's inside your sub-folders. Now there are cases where you want to use folders to be able to assign permissions, or to increase performance if you have way too many documents, but try to stay away from folders as much as possible and create columns to filter your information. I'll give you an example why. This is an example that I use quite often. Let's say that you have a new employee that comes in the office and in your shared drive you have a folder called Customers, and you have a folder called Contracts. They're not next to each other. They're really in complete, separate places. So we have a Customer folder, and we have a Contracts folder. If you go to this new employee and you give a new contract for a customer called, I don't know, Microsoft, where is this person supposed to put the contract? And this is a very simple example. I'm talking in businesses, it'll probably be a lot more complicated. But where do we put it? Do we put it under the customer Microsoft, or do we put it under the folder called Contracts and create a sub-folder Microsoft? And then what happens is that different people have different ideas and they start creating their own structure in folders and that's what's really hurting the findability of the documents. We can't find them anymore. In SharePoint, all you have to do is create two Columns, one called Customer, and one called, is it a contract, or is it something else, for example. So whenever I'm adding documents within SharePoint, I tag it as Customer Microsoft, and it's a contract, then I'll be able to find the document no matter what my perspective is at the moment. If I remembered I am looking for a contract, who the author was Benjamin, then I'll be able to find it through the tagged contract. But if I'm looking for documents associated with Microsoft, then I'll also be able to find it. However, the document only exists in one place, in that specific Document Library. If you use a lot of Columns and a lot of geeks, what we like to do, and I know this is silly, but instead of calling columns "Columns," we like to call them "Metadata" so that it sounds more serious, but really, it just means columns. So whenever you hear somebody calling it metadata, yes, it means that our document is going to have additional information. That's all it means. And because in our Document Library we were able to create additional information, by this we mean Columns, what we'll be able, with SharePoint, to create a navigation out of this information, out of these tags, so I'll be able to navigate through it. You'll also be able to use and save your list as a template with or without the content. So I'll show all of this as fast as possible here. So if we want to start from scratch, well, we go to site options, right? Because that's the place where we start anything in SharePoint is through the site actions. And we're going to create a new document library. In this case, I'm going to call it Invoice, or Invoices, and I'm going to click on create. Surely, in my quick launch, if I click on browse to remove the ribbon here, I see that I have an Invoices Document Library created. Now, the document library doesn't have any Columns right now. So, if I add a document, I won't have any additional information on it. What we'll see is that we'll be able to create columns through the ribbon to be able to add additional information. But before we go into creating columns, you'll see that it's going to ask you some pretty tough questions here, and I'm going to get to it in just a few seconds to really explain what each of these mean. Once you have created your information for your document library, as you can see in the library ribbon, you'll be able to do other things like synchronize to Office if it's available, open with your Windows Explorer to be able to add more files, export to Excel, which is always very useful, and if you go to your library settings, you will have save the document library as template. If you click on this, you'll be able to save it with the content, or without the content. So this is very, very useful if whenever you're starting a new project site, you want a specific document library to be already created, already available, with one, or two, three documents such as forms to be already available, this is very practical. The different templates, as you see, I chose a Document Library here, I have my Office installed. I can check the alerts and start getting alerts on how everything is connected. If I go back, and we're really going to touch the columns now, to manage my Invoices Document Library that I've just created, I want to start playing with columns. And I just want to explain to you that there is a difference between each type of column that you create. So, so far what did we see, just to make sure? We saw that there are SharePoint sites. What is a SharePoint site? It's a box, it's a container, that contains lists and libraries, and within each list and library there are different ways to manage them, there are different templates. So, there can be a document library for PowerPoint slides. There can be a document library for assets to be able to view images and pictures. SharePoint Basics: What are Columns? But how do we want to manage items inside a list or a library? It's through columns. This is very, very important, because this controls how people are going to actually enter the content, enter the information, inside your document library. So the question we're going to ask them are columns. Now the different columns, and instead of doing this through here, what I'm going to do is I'm actually going to do the demo right away and I'd rather show it to you straight from SharePoint. So as you remember, I was in my SharePoint site. I went inside my document library called Invoices that I've created. This is an out of the box, regular SharePoint Document Library. And what I'm going to do is inside the library, I'm going to create a new Column, so a new way to tag. Again, if you remember, this can be seen kind of like an Excel sheet. If we want more information on our documents, we'll have to create a new column. So I'm going to create a column here. As you can see, I have different options. The different types of columns that you have will control how people are able to enter the information. A single line of text is just that, it's a single line of text. Just like the white box that you have at the top for column name, this will allow people to enter anything that they want. If you choose to create multiple lines of text columns, well, this will give you a box a little bit bigger, kind of like this. So you're able to control, every time you choose a Column, you will see that the bottom section will change. If I choose a single line of text, I'm going to be very limited in what I can control. I can say whether the column is going to be required or not, so this is going to put a little red star next to it. I can enforce unique values, that means within my list, or within my document library, the column that I'm creating, whatever the name is, is never going to have the same information twice. Then, I can say what are the maximum number of characters and if I want a default value for it. If you choose multiple lines of text column, suddenly, you're going to have a different option where you're going to be able to choose allow unlimited length, yes or no, and how many lines of editing do you want. And this doesn't control how many lines of text you can actually write, and this is a misconception. For example, this is a multiple line of text, but I can write as many lines as I want, as you can see. So what does it mean? What are the number of lines for editing? It just means what is the size of the box. Here, what we have for the description is a two number of lines for editing. If you choose six, the box is probably going to be a lot bigger for people to enter a lot more information. One of my favorite columns is the choice column. And you might want to use it. You might want to use another type of column I'm going to talk about very quickly. But the choice column allows you to offer a choice to the end user that's going to upload the document in your library, or in your List. So the choice is all you have to do is enter them one by one in a different line. So I can say Customer A, Customer B, and so on, and every time somebody's going to come to my Document Library I'm going to ask them a specific question, which is going to be my column name. Column name will go here, and it's going to ask them this questions. So, who is the customer, and it's going to offer three choices. Now the choices, I can offer them as a drop down menu. So the drop down menu is kind of like a rectangle, you press on it, there's a drop down menu offering the choices. We recommend to only use the drop down menu if you have more than three choices, because it requires an extra click. People have to click on it to then choose their option. If you have less than three choices, we will use radio buttons. What are radio buttons? It's these little circles right here. So right now what I'm doing, I'm choosing with radio buttons. Why do we want to use radio buttons when we have less than four or three items? It's because the choices are right there in front of me. I don't have to click in a drop down to see what the choices are. So it's a lot easier and a lot faster for people to actually enter the information. Now check boxes is special in its case. Why? We don't just use check boxes because we like check boxes. We use check boxes because we want to allow multiple selections. We want people to be able to select Customer A, plus Customer B at the same time. I see that some people may have lost audio. Is everybody okay? Okay, I'll go on the premises that most still can hear me. Okay, perfect. So the check boxes here is going to allow you to select multiple values, and the allow fill-in is going to be able to specify another, a blank one. The next time it's not going to be available. So if I'm choosing Montreal with an accent, and then just type it in, then the next person might rewrite the same thing, but make an actual spelling mistake. So that's something that I want to usually eliminate, so I don't specify allow fill-in choices. But that' really up to you. Other columns that we may have is the number column. So this is pretty straight forward. You force people to enter a number between a minimum value and a maximum value. We have currency, which is pretty much the same thing as a number, except you're going to be able to specify in which currency you want it, and the minimum value or maximum as well, as well as decimals. The date and time, this is very, very important. I've seen many people say, "Well, it doesn't matter. We're going to use a single line of text." And with the single line of text, people type in October 14 and they think it's going to be okay. It's okay for the reader, it's okay for you, but for SharePoint, it's not okay. Because SharePoint does not know that you've entered a date in this column if you type it like this. SharePoint doesn't know. For SharePoint, it's just a bunch of text that you consider a word. And what problem is that going to cause you? Well, let's say I've created a little Document Library called Contracts. And what I've done is I've placed my contracts in that Document Library. And I've done a date and time column to specify when I have to renew this contract. Later on in time, I looked at different SharePoint workflows. Now we saw that a workflow, we talked about it briefly, but it's automating tasks that are usually done manually. So we have a workflow, I wanted to make sure that whenever we're a month before the renewal date of my contract, I wanted to make sure that SharePoint sent me an email to remind me to renew my contract. So what I've done is I told SharePoint that this is a date and time column, that contract column I was doing. If I just typed it like this, then I wouldn't be able to tell SharePoint, "Send me an email 30 days before this date." And I wouldn't be able to create calendar views to be able to show through a calendar what's going on as well in my Document Library. So this is very important. You can of course specify if you want the date only, or the date and the time. That's up to you. The lookup column is very interesting, because it's the same as the choices, which is one of my favorites, as I said. The lookup column allows you to give choices that already exist inside a SharePoint list. So what that means is I can create a SharePoint list called Customers, and type in all my customers inside this SharePoint List. And afterwards, in the Document Library, create a lookup column to my actual customers list. This means that whenever I create a new customer in the SharePoint list, it's going to be available as a choice to all the document cibraries that use a lookup column to that list. Now, as you can see, it says the information has to be already on this site. This means that the lookup column will only work if you're looking up information that is inside the list or library that is on the site where you are working right now. I'll tell you a little secret, there's a way to bypass this, to lookup something that's in another site, and we're going to talk about it in just a bit when we're going to be talking about site columns. So the key thing to remember, if you want to lookup information that is not in your site, but is in another site, then you want to remember site columns. I recently created a blog post on it. I've sent you the email for those of you that registered early. I will send it again at the end that will show you how to exactly do this. We have the Yes or No Column, so just a sample check box. I'll come back to questions at the end to make sure I cover everything. And then I'll go back on the chat for all the questions that I have. But the Date and Time Column specifies date and time quickly, and we can specify just the date, date and time, and we can also specify a default value. But we'll go over it at the end. So I have a personal group column. Again, if you're doing a task list, and you have a column called Assign To, who is the task going to be assigned to? Now, you might want to say, "Well no, we're going to use a single line of text. We don't need to complicate stuff." What happens if you use a single line of text? The same thing as date and time, SharePoint does not know that you typed Benjamin Niaulin. If I type Benjamin Niaulin here, that means nothing to SharePoint. It's just a bunch of letters put together, and he hopes that it means something to you. If I choose Person or Group, this is completely different now. What this tells SharePoint is that people are going to have to pick from a person or a group that exists in the company, that exists in SharePoint. And what does that really mean? Well, SharePoint will lookup the information on the user. So he knows his department, he knows his email address, he knows his manager, if it's entered, of course. So what happens is, if I'm asking a user to enter inside a person or group column, and he chooses my name as a person, later on in time if I want to go get the picture of these people and display it in a bit fancier manner, then I'm going to be able to go get the picture that exists in the My Site, for example, if you're using that. Another scenario is I'm going to have the email of the person. If you look below the configuration, I'm able to show the name of the person, but I also have his office, his user name, his work phone, his department, if you're using a Communicator or Lync, you have also his Lync address, his email. So this is actually very interesting. Now you don't have to show the information that you want to use, it's just to tell you that all of this is actually available. So, if you create a Column called Person or Group for the assign to - So let's go back to our task list. If I create a column called Assign To, and I say that's it's a person or group and people have to choose for a person, this means that I'm going to be able to say I want to send an email to whoever the task is assigned to, and SharePoint is going to know this information because it's a person for SharePoint. Okay, we have hyperlink, or picture, so people are going to be force to put a hyperlink. We have a calculated column. The trick is, if you don't know how to use formulas, there is a PDF file on the Internet. I can point you towards it if you send me an email or ask me on Twitter at the end. There's a nice PDF file that somebody did that has all the different ways of writing calculated formulas. It's very interesting. However, if you're not comfortable with that, you can always go in Excel, write your formula in Excel, and there's an 80 to 90% chance that the formula is actually going to work when you copy-paste it over here. The rest is a bit advanced. Some of them are custom, something that we've created ourselves here, so for example, the Password Column. This is not something that exists in SharePoint, so don't pay attention to it. So those are the different column types, and I wanted to spend quite a bit of time on it because it does matter which one you are going to create, because in many cases, you're not going to be able to change it afterwards. If you create a lookup column, you can't change it into a choice after. There are specific scenarios when you're going to be able to turn a single line of text into a choice, but they're very limited. So you have to make sure that you make the right decision right from the start. So there's some information here. We're going to use these columns afterwards to be able to create views. We're going to use these columns to create workflows as well. So it's very important that you choose the right kind of column right from the beginning. So, and this is very, very important, a lot of Power Users miss this step. And I can understand because it's not so easy to understand. It's not super available in SharePoint. It doesn't tell you that you can do this. And these are called site columns. Why, why would you want to do that? Well, you want to reuse your columns. I have a little flashback. I was with a customer a while back, and they had a SharePoint site that had, if I remember correctly, it was well over 200 document libraries. Yeah, I know. So we had over 200 document libraries on this site, and then they call us, and they say, "Well, we have a choice column inside each of these document libraries that we need to update." They had three choices offered, and every time they created a new document library, they recreated the column manually and offering the same three choices. This was a manual step. What happened? Well, some of the document libraries, because at that moment the person that was creating the site, sorry, creating the document library, he was tired, it was maybe Friday, maybe 5:00, so he misspelled one of the choices. It wasn't in the same order as the previous document library. So it was a very manual process. And then the time came to add a new choice to all of the 200 document libraries. So, what do we do? If you created your columns, if I go back to my SharePoint, if you created your column using the Create Column button, it actually creates the column only in your document library, or inside your list. It doesn't exist somewhere else. So if I create a column now, and then I go to another document library and I want to use the same column, I would have to recreate it if I used that button. So the thing to take away is this is very practical, and yes, it will be a lot faster for you to create the column, but think about it two seconds. Are you planning on reusing the column that you are creating right now? If yes, then you want to start looking at reusable columns. And in SharePoint, they are called Site Columns. When the site column is created, it's available throughout the site, but not only throughout the site, it's also available throughout the subsites below. So that's really cool. Why? Well, remember my scenario I was talking to you about the lookup column before? So, I had my customers list, I entered my customers, and then I created a document library, and I want every time I add a new document inside this library, I had a lookup column that asked the user that uploads the document, "Hey, which customer does this document belong to?" But what if I'm in a site that is somewhere else, a site that is a subsite somewhere below where I created my list? If we don't know about site columns, we would tell the user, "Sorry, SharePoint doesn't do it. Sorry." But it's not true. So what we can do is we can actually create a lookup site column. Why would I do this? Because every site that exists below my site - So, if I go here and start from scratch, let's take a breather, here we go. This is my home site. This is Understand SharePoint. We understand that in this box, I had lists and libraries that exist. Each of these lists and libraries, they are basically Excel tables with columns that help me manage what's going on, tag if you want. Then, we saw that we can create a new column to get more information on the documents, or the list items that we add. Some of these columns are very powerful, because they provide me with a lookup. I can say that the choices that are going to be for this document library column called Region, sorry about that, Region is actually going to come from my list of, and I have all my available SharePoint lists and libraries, and I'm going to say, well, my announcement list, take the title, and offer it as a choice for the Region of my Invoices Document Library. I would have a new column here. But what if I want this lookup to exist in subsites? That's where the trick comes in. this is one of the few times where I'm going to go to site settings. My SharePoint is loading so fast that I can't even drink water. Okay. So, if I click on site columns, I'm going to see all these fancy, super technical, I don't understand what's going on site columns, but actually, it's a lot simpler than that. These are regular columns, single line of text, hyperlink or picture, and they are just simply grouped by categories. So I can see I have document columns, and these are all the columns that SharePoint uses throughout document libraries. If I create a new site column, you see I have some new choices, but if I create a lookup column, it's going to be able to do a lookup to any list or library, but the benefit is that it's actually going to spread down to all my subsites. So I've created a blank site, so let's see what's going on. Let's do this quick test very, very quickly. I'm going to go into my task list. Or even better, I have an announcement list and I already have an announcement here. I'm going to create another one called Hello Everyone. And I have don't have time to type some text, so I'll just type this out. And I'm going to click on save. So I have a new item in my announcement list. What I'm going to do is I'm going to go to site settings, site columns, and I'm going to create a new column that's going to be available throughout my site and my subsites. Remember I created a blank site earlier? That's what I'm going to use. So if I create a new site column and I call it Test Lookup, I'm going to say I want to do a lookup through the announcement list. What do you mean exactly by customized column? I'm not creating a customized column. I think you mean site column. How often do I do a site column? I can't really measure it. I will do site columns based on do I, yes or no, plan to reuse this column. If I'm creating a column that I'm offering choices in, and I think that these choices, I'm going to repeat myself in time, for example, it's my customers list, or my customer choices, or categories that I often use in the company, well I'm usually going to create the site column. And no, you cannot promote a column into a site Column. You have to plan this is advance. So that's the tricky part. So right now I'm creating a site Column called Test Lookup. It's a lookup to the announcement list, and I'm going to use the title field, the title column, as the information. If I want, I can also pull some other information at the same time, but in this case, that's all I'm going to do. So what happened here? Well, if I stayed within the same site, and I go to my Invoices Document Library, instead of clicking on library, create column, I'm actually going into the library settings this time. I hope I'm not going too fast. And inside the library settings, if you go to your columns section, instead of creating a column, you can actually add from existing site columns. So I'm going to click on that, and I'm going to sort through my custom columns that I've created, and I see that I have my test lookup before I've created a Wiki categories, it looks like. So I'm going to create a test lookup, and I'm going to add it. What happens? For the users in my Invoices Document Library, there is no difference. They see a new column, and if they upload a document, in this case, I've prepared some sample documents here, if I upload this sample document, it's going to ask me, "Hey, is the Hello Everyone? Or is this Get Started the initial announcement?" Perfect. So I can put that, and the advantage is that the information is available in the site column. But the other advantage is that if I go to my all site content, and we look below, we have a subsite. Remember, the blank demo subsite? And if I create a new document library, let's create a quick new document library, and we're going to call it Test Demo Library. Quickly create it. So, what happened? I have a blank demo site. I've just created a new library. And I'm going to do the same thing. I want to add a new site column. How do I do this? We said we go to the library settings over here, and through the library settings under the columns section, we can add from existing site column. And what do I see? Inside the custom columns, I have my test lookup that I can add. And what did I just do? In my test demo Library that is inside a subsite, if I add another document to experience the same scenario, I'm going to get asked the same thing. What do I see? I see my list item from a list that is above me, that is here. If we look at the navigation, we have my top site, and then we have my blank site. How long does the word new in green stay? I don't remember, but I heard, to my knowledge, it was about two days, and there's no way to change that. So it's really out of the box, around two days it stays. But you could correct me if I'm wrong. I'm not sure. From memory, it's two days. What I'll do is I'll look it up, and afterwards, when I send all the information, I'll make sure that the information is available once I send out an email after this session. So as you can see, this is really cool, because what I've done is I've stayed in a top site here. I've created an announcement list and have created my announcement in it. And from a site that is below my blank site, I was able to lookup information from this site that was at the top. This means that even if you're using things like SharePoint Foundation, which is the free version of SharePoint that offers limited features, you're still going to be able to do a pretty decent Intranet where you store everything in the top site, for example, your customer list. Somebody posted the information, thank you, so you could go on the chat to see how long does the new button stay. Sorry, I forget what I was talking about, yes. So if you're in a top site in your Intranet, you can create a list for customers, for categories, and tons of information that you want to share throughout your subsite inside your Intranet. And even with SharePoint Foundation, using the site columns, you're going to be able to provide the information throughout your subsites and make it reusable. So when I'm talking about site columns here, I'm really talking about reusable columns throughout your site collection, depending on how you've created your columns. So it's very important where you created. If you create a site column all the way at the bottom of your site collections structure, it's going to be only available to that site. So the idea is to really create it towards the top so that all subsites are going to be able to inherit from it. SharePoint Basics: What's the Difference between Columns and Site Columns? Moving on, here, I put some of the differences between Columns and site Columns. So, what's the difference? Well, obviously it's a lot faster to create Columns directly from the lists of the library. However, they're not going to be reusable. It's not going to allow you to do a cross-site lookup Column. It's not always going to be available as part of the Content Query Web Part, if you're using that web part. But it's very easy to use as a Power User. I'll give it that. If you don't want to start training your users on SharePoint, you might want to let them create columns. However, when you're going to get to the point where you're going to do a migration, it's going to be really tough because it's not going to be available. It's going to be split across multiple lists and libraries. The site column, however, is reusable. It allows you to do cross-site lookup columns. It's always available in the Content Query Web Part. You can organize them by groups so you can easily categorize them, very useful to provide advanced solutions even if you're using SharePoint Foundation. So we just did the demo, I'm not going to go over it again. And now we get to the tricky part. Now Content Types is a very big word in SharePoint. You probably heard it over and over again. Everybody told you that it's very complicated. Yes, it can be complicated, and this is a slide that I'm going to leave open, but I'm not actually going to go through. What I want to do is again show you through a demo so that you really understand content types. And I recently wrote the same article where I was talking about site columns, I also talked about content types, and it's very interesting for you to look at because we said that the library column - So let's go through the demo to make sure that it's easy to see. Within the list or library, we've created columns. Then, we've stepped up and we said, "Well, hold on a minute, there's actually site columns, reusable columns." And then somebody in the company's going to say, "Well, that's great, you have site columns, which are reusable Columns, but what happens is if group of these site columns are often grouped together, what if you want to group together site Columns?" I'll give you an example, you've created an Invoice Number Column, you've created a Customer Name Column, and you've created a Person In Charge Site Column. But you always want to group them together every time you're going to manage invoices. So instead of individually always adding the site columns together inside your document library, you can create what we call a Content Type. SharePoint Basics: What is a Content Type? A Content Type is your definition of types of content, literally, that you use inside your company by regrouping site columns that you have together into a content type. So if every time I've created a task, I always use the column assign tom status, priority, due date, person complete, well, instead of creating a new document library and/or list, and going to list settings, add from existing site columns, instead of doing this one by one to add all of the site columns, what I can do is I can actually create a content type, add my site columns inside of it, call it Task Content Type. And every time I go to a SharePoint List and I add this content type, all of these site columns are going to be available right away in my List. So, how do we do this? The same way that we manage site columns, we're going to do with content types. If I go to site actions, site settings, right where we were for site columns earlier, right below it we're going to have site content types. If we look at the site content types, again, it looks very technical. It looks very complicated, but it's not that much. In here, you're going to find many that you recognize -- your announcement list, your contact list, your calendar, custom List, for example. And in Document Library, the same thing, you're going to find document for Document Library. So if I go and I look at the task, or if I look at the announcement content type, what does the announcement content type do? Well, it's as simple as the Title Column, the Body Column, and the Expires Column. That's why when I go to my announcement list, and I click on Add New Announcement, there's already title, body, and expires. These are actually site columns that were grouped together, because when you group them together, SharePoint considered this as an announcement. So, let's recap quickly, because we've talked about a lot of things. Usually I talk about this in a whole day, or even two, so I know there's a lot to take in. We said that SharePoint site is basically a box for you. It's a place for you to work. Inside the SharePoint site, you're going to have, if you look at all site content, you're going to have lists and libraries. Lists and libraries are basically tables that you manage with columns. So if you look at, for example, the announcement list, we have established that it's just a bunch of columns that we create to get more information on our announcements in this case. Columns can be created in the list, or in the library, however, they're only going to be available in this list, or in this library. To make them reusable, we said that we can create site columns. A site column is a column that doesn't belong to a list or a library. It belongs to the site where you created it, and all of the subsites below it. We've seen an example of that. Then, in a business, we can understand that sometimes we are going to create site columns, but always use them together. Whenever I'm going to manage invoices, I'm always going to use the invoice number, the customer name, and the person in charge column. So instead of adding them individually all the time, we're going to create a content type called Invoices. And we're going to add the site columns inside of it so that I can go to a document library and say, "Hey, you, I want you to use the Invoice Content Type." And automatically you're going to get all the site columns to come with it. I hope this makes sense. I'm going to continue because we still have a lot to cover, but content types can be used for quite a bit of stuff. I don't want to confuse you, but the information is on the slide for those that are more advanced. Should you use content types? Well of course, but it depends if you need to reuse site columns grouped together. I'm going to skip that. These are the content type settings. For now, it's really just there to be available. We just did the demo, and now we get to pages. SharePoint Basics: What is a Page? So, what is a page? And this is something that gets very, very confused in SharePoint. When people open SharePoint, and they come on the homepage here, they think that there's no difference between a SharePoint site and a SharePoint page. There is a huge difference between the two. We said that the SharePoint site is the actual box, the actual container that holds everything. The page is only actually shown inside this white rectangle in the middle. If you see this little rectangle here, this is what's called the SharePoint Page. A page is nothing more than a document, if you think about it. Your Word document finishes with Docx, or Doc. Your Excel finishes with Excel, but these are just files, and when you click on them the appropriate application is going to open and look at it. So Word will open a Word document, Excel will open an Excel document. If you create a page, what is a page? It's a document that maybe finishes in .html, or it finishes in .aspx. Where do we store documents in SharePoint? In libraries, so if I look at creating pages, I know that I have a library called Site Pages, and that's where pages are going to be. It just happens that I'm inside Internet Explorer, or Chrome, or Safari, and that's the application that opens pages. And what SharePoint did is that it loads pages in the white rectangle right here in the middle. So if I click on site pages, and I look at other pages that I may have, so you can see this is my document library called Pages, and if I click on Home, the white rectangle in the middle is going to show me the Home Page. But I am still under the same site. And if I click on site pages again, and I click on How To Use This Library, again, the white rectangle changes, but I am still inside the same site because this site is my container, it is my box where I am working. And the lists and libraries are tables that are available in my site for me to work. List to manage items, information, calendar, text, tasks, and so on, and my Document Libraries are tables to manage documents with columns, or site columns, or group site columns that we call Content Types. Now SharePoint offers you different types of pages, and that's what we're going to try to see what is the difference between a Page and a Publishing Page and a Web Part Page, so why do they offer so many things to us? First of all, when you want to create pages? This is very important. If a list or library, we said, is a way of storing your information, is a way of storing your documents or your list items, then your pages are a way of presenting that information to your users. It's not because I've put my documents inside the table, that I want to show my documents as a table to my end users. In this case, I'm going to create a page, and I'm going to make it a lot nicer for people to look at my documents. I'm going to sort them. I'm going to maybe group them by specific ways. And in Document Libraries, this may be called Views as well. But views are also pages. So SharePoint gives you different ways to create pages. The different types of pages are here in front of us. We have the Wiki Page, we have the publishing Page, and we have the Web Part Page. Now the Wiki Page is not always called Wiki Page everywhere in SharePoint. It's called Page, and it has a little blue flower on top of it. I finally understood what that icon meant. The word Wiki is the Hawaiian word that means quick. And because it's from Hawaii, they decided to put a little flower that represents Hawaii. That really is where it comes from. It took me a couple years, I finally figured it out. So a Wiki Page is...yeah, exactly. And so the Wiki Page is able to link to your content by using the brackets. So if you just open the bracket twice, let's go look at the, demo because that's actually pretty interesting. If I click on Edit Page, to go into editing mode of this page, and this is a Wiki Page, if you open the bracket twice, a little menu's going to pop up for you to click, or link, to either a page, or a list, or a view. So if I click on list, I have all of my lists and my libraries available, and if I go inside my Invoices Document Library I have my document called Document Sample. Now I can stop there, or I can continue on the document. So if I close my brackets now, and click on save and close, I've just created a quick link to my Invoices Documents Library. I could have done it to link a document, a task. So what happens that within the same SharePoint site you're going to be able to create your documents, create your lists, and with Wikis, be able to show that information in whatever way that you want using the brackets, or using what we're going to be calling Web Parts in just a bit. So that's pretty neat. The Publishing Page is really more for intranet, extranets, or pages that you want to share outside. The Publishing Page is going to use something a little more advanced for design. It's going to use Page layouts. There's going to be a designer inside the company, he's going to create a layout, a way of storing things on the page, and then when you're going to create a publishing page, you're going to have to choose between page layouts, or page designs, if you want, to store the information. What's very powerful with publishing pages is that the columns that we've created in our document libraries, they're actually going to be placed inside the page as your values. So instead of having your custom name as a column inside a table, you're actually going to be able to put the customer name directly on the Page somewhere and have it designed. This is very, very cool as well for Intranets, a lot of the time when we create news articles, that's what we're going to do. And when we're creating public facing site like Ferrari.com or other companies, this is another way of doing it as well. Another way of doing it is Web Part Pages. Now a Web Part Page is only to store web parts. And we didn't explain what web parts are yet, we're going to cover that in just a few seconds. But basically, it removes the quick launch, it gives you a full width page, so you have the entire section. The rectangle becomes bigger and you can put a lot more information on it. This is very practical when you're showing charts or you want to do some reporting I'm going to usually add the web part page to add my web parts that show something, that show reporting, that show information that I don't need the quick launch for. The Wiki Page is more a combination of writing whatever you want quickly, and at the same time, using web parts. The Web Part page will only allow you to create web parts. So using them is very, very important in SharePoint. A lot of the times what I have seen after coming to customers is that they have this SharePoint site in front of them, and then they've created an Invoices Document Library, they've created their task list, and they just stick to that. That's how they work. This is one way of doing it. But remember, a page will be able to how the information that you want in whatever manner that you wish and whatever design that you wish. And the navigation, either at the top or on the left, is able to link whatever pages that you want. So it's not unlikely for me to remove all of these items over here. I completely removed the navigation. How do you manage the navigation? You go to site actions, you go to site settings, and then you click on navigation. It's possible that it's not going to say navigation for you, and it says quick launch, that's because you're using SharePoint Foundation, or you don't have the publishing features enabled, but don't worry about that. 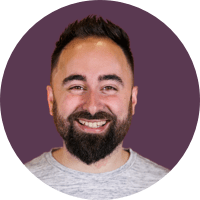 So here in the navigation, I can say, "Well you know what, I don't want to manage it like this, I want the users that come to my Team site to actually work with links that matter to them and not to me as an author or as a collaborator." So I might create a new heading or a new section. In this case, I will call Portal, without any hyperlink, and click on okay. Inside the portal, I might add a new link that links and I can browse. I can go to one of my Document Libraries, or even better, I can actually browse through one of the pages that we've created and that we've designed. Now if I go to, for example, my site pages here, I will be able to see all the pages that I have inside of it, and jut link to it. So I can say I want to link to How To Use This Library, click on okay, and I don't want to take too much time on this, but I could add a lot more links and manage my navigation Portal A, and manage the quick launch just the way that I want it. The idea is for you to create Pages to show the information that you want so that when people come to your Home Page of your SharePoint site, they're going to have a navigation that matters to them, and the rule of thumb is, you should never have to click more than three clicks to get to your desired destination. So it's very, very important. Let's go back to it. Use the Pages, instead of creating a new site every time, try to think, "Can I use a page and use filters and views to be able to show the information that I want?" Because if you create a new site, you create a new barrier, you create a new box, and that means that in this new box there are new Lists, new Libraries, that can't necessarily talk to your previous site. So this can become something tough. You might have to open SharePoint Designer or other complicated tools. You want to stick as long as possible within the same SharePoint site to access all the lists and all the libraries in it, as long as there's no security issues, and we talked about that earlier. Every time you've created a list or a library view, you've basically created a page. That's a page that represents what you want to look at. And you can add new things on those Pages. You can take advantage of that. You can create a new - Let's quickly create a view, we don't have too much time left, but if I go to my Invoiced Document Library, I can create a new view, either from here, create view, or from the library menu, create view. And when you're creating a view, you have different standards, you can use a data sheet view or calendar if you have date and time column. Now remember, we talked about date and time column? Very important here if you want to use a calendar. But let's stick to the standard view. If you choose to do a standard view and you configure all of these settings like which columns that you want to show, and how you want to sort it, and how you want to filter it, once you've created your view, like this all documents view, this is actually a page. So there's nothing stopping you from clicking on edit page and modifying, maybe add a legend at the top, a disclaimer, maybe some tips and tricks inside the text content editor web part. You can leverage this. It doesn't mean that a view is just a view to have inside of your document library. It's a SharePoint Page, and just like any Page, you can actually wok with it, make it a little bit nicer, prettier, or add more information. How are your users going to sort? If you want to add a little tips and tricks to your document library, well, you can quickly edit your document library page, and right before your document library, you can decide that you want to insert some text. So you just have to click inside of it here, add the Web Part if you want, or you'll be able to add text and so on. So this could be very, very practical. Let's go back to our Home site and continue. Just want to cover, and then we'll have questions at the end. So we did the demo, and we're finally talking about web parts. Now web parts may sounds very complicated. Is everybody familiar with App Store? Usually yes, either from Apple, or from Windows Phone Apps, or anything. What's very common today is that you have your actual platform. So you'll have your iPhone, or you'll have your iPad, or you'll have your Surface, and then you have Apps that were created to do something. They have a specific job and you add them to you iPhone, or iPad, or Surface, and they're going to do their job. This is what a web part is to SharePoint. SharePoint Basics: What is a Web Part? Inside SharePoint there are Web Parts inside sort of a, they call it a Web Part Gallery. But if you want, you can call it the Web Part Store, it doesn't matter. These are little applications, little things that have a job to do. Every time you create a List or you create a Document Library, SharePoint is automatically going to create an App - We're going to stop calling it an App, and we're going to call it a web part now. So every time you create a list or document library, SharePoint is automatically going to create a web part that is going to show this document library or list wherever you are, as long as you stay within the same site. But there are other web parts that have a job, and that's what I want to talk to you about. So, some of the settings of the web parts I'll show you in a bit. But the most, and my favorite, web parts, depending on what version of SharePoint you have, so as long as you have a paid version of SharePoint, so Standard or Enterprise, you will have access to the Content Query Web Part. It is by far my favorite web part. Why? Because it will allow you to query anything, anywhere, within the same site collection. So you remember what a site collection is? It's all of the sites grouped together under one top site. Well, they're all going to be available through the Content Query Web Part. You're going to be able to say, "I want you to query all the task Lists, and show me all the tasks that are assigned to the user that is currently logged in." And on top of that, the Content Query Web Part is going to allow you to actually display the results in any format that you want. There are some people online on the Internet, if you look up for Content Query Web Part Styles, you're going to see that some people have already created styles for you that you can reuse. You can create your own as well, but it does require some technical knowledge for this. The other very cool Web Part is called the Content Editor Web Part. The Content Editor Web Part, once you add it to a SharePoint site - Now, we can quickly see this one. If I click on edit page, I can anywhere add and click on insert, and I can quickly add a web part under the categories. As you see, we have all the Lists and Libraries created, but we have other web parts inside categories. Now I can go inside the media content, and I have the Content Editor Web Part. This will allow me to add somewhere on a Page a place where I can just add text. So I can click on edit Web Part from the little sub menu, and from there, I'm going to be able to add whatever content that I want as text, and of course, use other tools available to the Content Editor Web Part. If you are using a Wiki Page, I would usually tell you not to use the Content Editor Web Part because the text is actually not stored inside the page, it's stored inside the web part. If you're using a Wiki Page, the text is actually stored within your page. So that's a lot better for you to play with it, for you to share with others, and not to lose it accidentally with the Content Editor Web Part, if something happens to it. However, the Content Editor Web Part allows you to edit the HTML source here. And it really allows you to play and write any HTML that you want. So if you have people in your company that are very comfortable with HTML, or CSS for design, or even scripting, you can actually type it all right here. So the Content Editor Web Part, check it again, if you want to add it, you click on edit page, the Content Editor Web Part should be available on all versions of SharePoint. If ever you don't have the Content Editor Web Part, there is a chance that your company may have blocked it, but it's extremely rare. I've almost never seen this. So if I click on the web part, under media content, I have the Content Editor Web Part. To check if you have the Content Query Web Part, you have to have a section called Content Roll Up, and you have the Content Query Web Part available. However, there is a chance that it's not displayed here because it does require a feature to be enabled at the entire site collection level. If you want to ask your administrators or the site collection administrator to check if you have it, tell them that you need the Publishing Infrastructure Feature. You don't have to understand what it means, he will know, and he'll tell you whether he can or cannot enable it. But the Content Query Web Part requires that you have that Publishing Infrastructure Feature enabled, otherwise it's under the Content Roll Up. So if you go back here, the Content Editor Web Part will allow me to add HTML, scripts if I need some. Another cool Web Part for you guys is the actual Note Board Web Part, which allows you to do kind of a feed, or chat if you want, anywhere inside your SharePoint site. You have the RSS Viewer Web Part. I'm running out of time, so I want to make sure I have time to cover questions. All these Web Parts are available. The most popular ones are at the top. The Note Board Web Part I really do want to show you what it means. Imagine we have a task list, so I'm going to my task list at the bottom. And remember I told you we can leverage this as an actual Page that we can leverage? Let's do that right now. Let's click on edit page and add a web part. And when I click on add a web part, just give it time for it to load this time. When you click on add a web part, what I'm going to do is, I'm actually going to go find a web part called the Note Board Web Part, and that web part is under the social aspect of SharePoint. So I'm going to try it again, site actions, edit page, we're going to add a web part, do it through here. Okay, well of course, this time it's freezing up on me, just like every good SharePoint demo. What I'll do is I'll actually be able to show you on another Page. So if we go here, and pretend you're in your task list, if you click on edit page, and you go and add your web part, if you go under Social Collaboration, now this is only available with certain versions of SharePoint, you will have the Note Board Web Part. And if you put that in your task list, or if you add that anywhere actually, users are going to be able to do what I'm about to do here. So we're going to be able to chat. "This is great." And click on post. And there we go, Benjamin Niaulin says, "This is great." So if I put that in my task list, every time we are talking about tasks, we'll be able to have some conversation a little bit better than the discussion board we may have in SharePoint. Now we're really arriving at the end of our session, and I don't want to hold everyone up afterwards. So what I'm going to do now, I hope everybody learned something, I'm going to go through the questions that we have. There is going to be some information - I'm going to have the recorded version of this webinar available afterwards online, and I will send you an email with all the required information, as well as some of the articles that may be helpful for you when you're doing this. So let's go back here and check out some of the questions that we may have had. There we go, question related to Form Library permission, how permissions work on Form Library. So a Document Library that is a Form Library, it works just the same as any other Document Libraries. You can assign permissions on the actual Form Library itself, or through the folders you create within it, or through each actual forms that you may have inside. Now there is a trick that you can create a workflow. I see that you're talking about the customized workflow, or approval process that you may have inside. There is a workflow to be able to assign permissions based on where the document is. So if he's in a specific folder, you're going to be able to assign specific permissions. Thank you, I'm glad you liked the presentation. I hope it was helpful. You can always send me emails, and you can always talk to me through Twitter. I'll try to help everyone as much as I can. It'll be my pleasure. The goal is really to do this quite often for Power Users, so less in full path, and tech, and dev. And we're really going to look at some of the cool things that we can do with Content Types and all of these other things. Okay, if you're using the date and time column, can you only have the time show up? It's not so easy. I'm going to answer and say no, that SharePoint does not allow you to do that. But if you have some CSS knowledge and a little bit of, and I'm going to go out on a limb here and say if you have somebody in the company that's okay with jQuery, which is a form of coding, then he's going to be able to remove the date for you. And if you not, you know what, send me the question, send me what you want to do, I'll turn it into a blog post article and I'll give you the solution for that and you'll be able to do that right away. So if you guys have things that you want to do with your SharePoint and you do not have the technical team or developer team and it's a little solution, I'll be glad to help you. I'll take a look at it and hopefully I'll be able to do it and give you the solution afterwards. For more information, I think I put the information at the end, or even at the top while you still ask questions. So there's all the information available to you. You can send me emails, or contact me on Twitter. Or if you go on the Share-gate site, my blog is pretty much on the blog section, and you'll be able to see all the information, very focused on Power Users as well. Any other questions? I might have missed some with all differences between content type versus view. There's a huge difference between a content type and a view. A view is a simple page that shows you the content of your list or your library. A content type is a way of grouping site columns together for you to reuse in multiple document libraries or lists. It has nothing to do with the way you're presenting information. Any other questions before we close? And I'm glad everybody's liked it, I really love the feedback. I'll be sending a survey very quickly. Perfect. So I guess we'll stop for now. Thank you very much. The recorded presentation will be available shortly. I have all of your emails, I'll send you a email with all of the information. The recording will be available on NothingButSharePoint.com, as well as on the Share-gate site. It'll be available on YouTube of course, and if ever anybody wants the presentation, a link will also be available. So thank you very much everybody and I hope to see you at the next one.